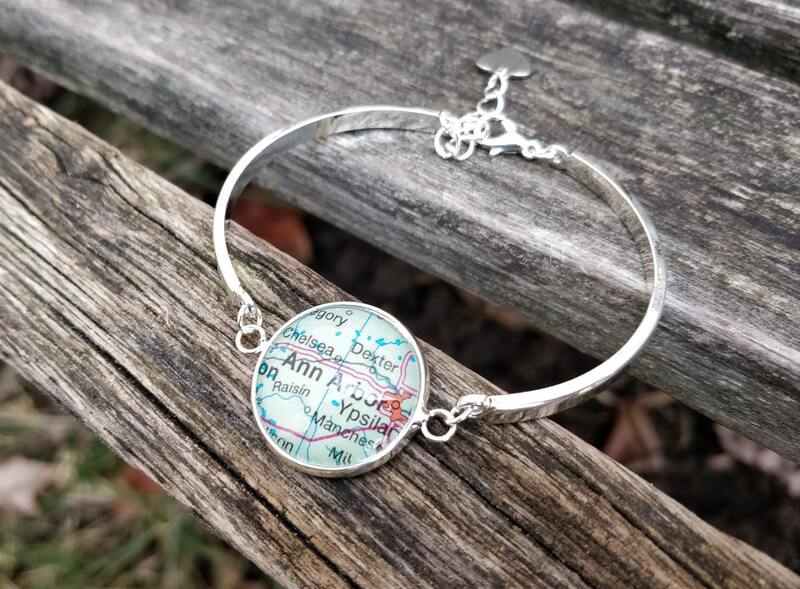 This bracelet is perfect for anyone who loves old maps. 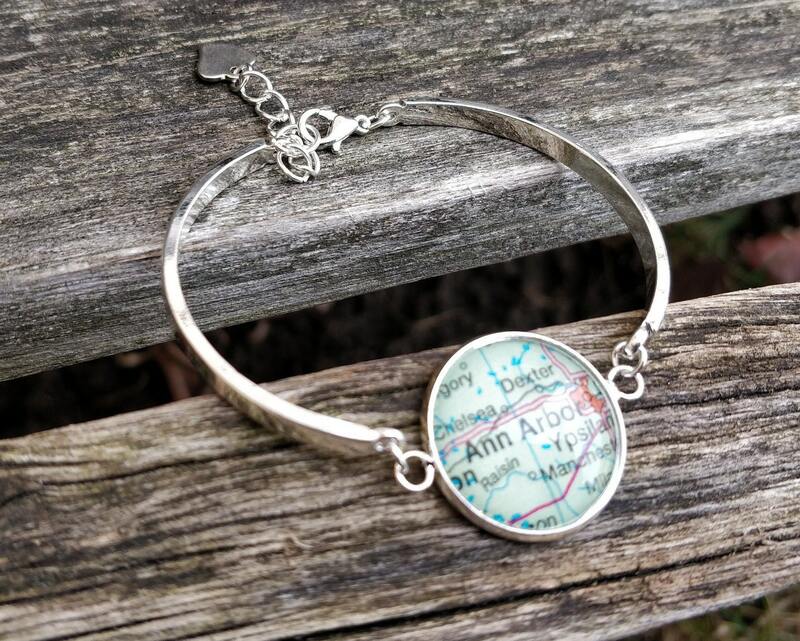 Made from a page of vintage atlases, this bracelet can have any location you want. ---> Please leave the location you would like in the message box at checkout. ---> Map color will vary depending on the location of the city, state, or country. 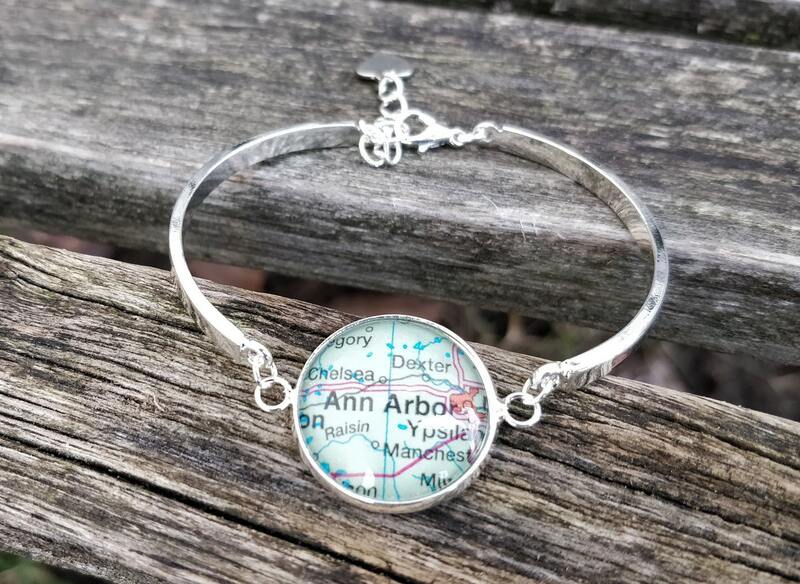 Perfect for a wedding, for a Christmas gift, anniversary, or a birthday. 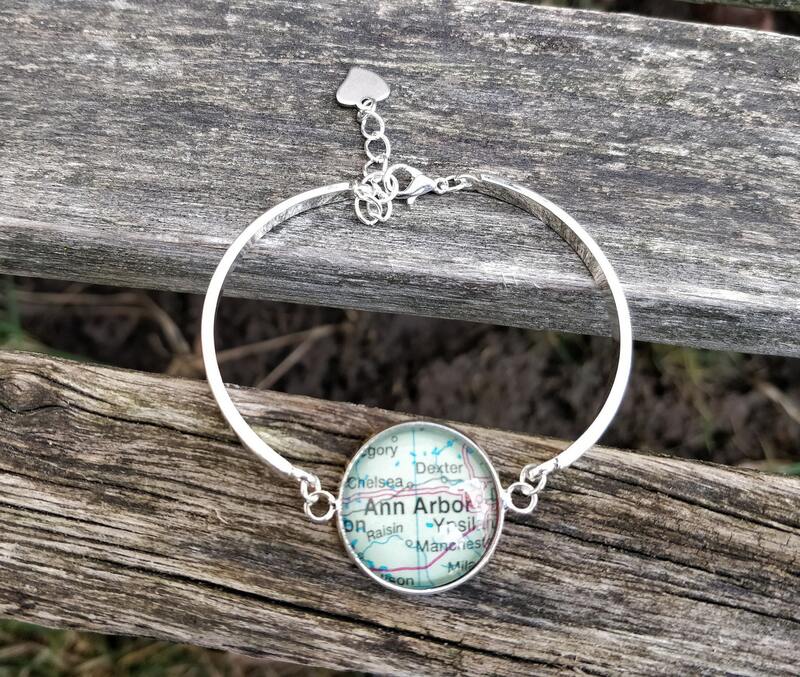 The circle part measures 20 mm and the bracelet is adjustable.